It has been said that everything old is new again. When it comes to the delivery of healthcare, this is true, and the new version is even better. Old fashioned house calls have been replaced by doctors visits via video, bringing new efficiency to the most convenient approach for patients. It’s not the 1800’s and you don’t live in Walnut Grove, so Dr. Baker isn’t likely to drop by for your check up (Little House on the Prairie reference), but that doesn’t mean you have to schlep down to Medical Drive every time you need to follow up on something, manage your chronic condition or refill a prescription. Thanks to recent technology breakthroughs, you can now see your doctor via a video visit from anywhere. 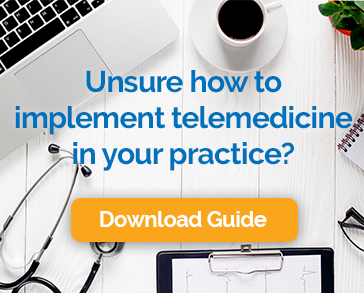 Modern telemedicine technology means that you can connect with your doctor using a secure internet connection with the same devices you use to chat with friends and family. Your PC or smartphone replaces the trip. You get the care you need without the expense, hassle or risk of picking up a brand new illness. In addition to making your life easier, video visits are great for doctors and insurers as well. Video makes providers more efficient, reduces costs and improves health outcomes. Many states have passed laws requiring that insurers cover visits via video just like they do in –person visits, but even where that isn’t the law, insurers are increasingly offering this coverage as a way to stay competitive in a tough market and to keep costs down. Sure, some types of visits require physical intervention and must be done in person, but for many routine cases, a video house call may be just what the doctor ordered.